Our family travel series continues with Valley-based boy mom and lifestyle contributor Nadine Bubeck (aka Mama B.). Every month, Nadine showcases a fabulous destination- providing five things you need to know about visiting the hot spot. Oceanside is a sleepy beach town on the outskirts of San Diego County. It’s undergoing a loving renovation, restoring the old and bringing in new to attract visitors. If you’re seeking a more “chill” San Diego getaway, this gem could be for you. Book the Wyndham Oceanside Pier Resort. Situated across from the pier with easy beach access and panoramic ocean views, this Oceanside resort is just a few blocks away from the downtown area. The property rents mostly timeshare-type residences, so it’s excellent for families. We enjoyed a two bedroom-two bath condo, equipped with a full kitchen, dinner nook, living room, balcony, and washer and dryer. Bonus: the main bathroom had an oversized Jacuzzi tub, which my boys loved! 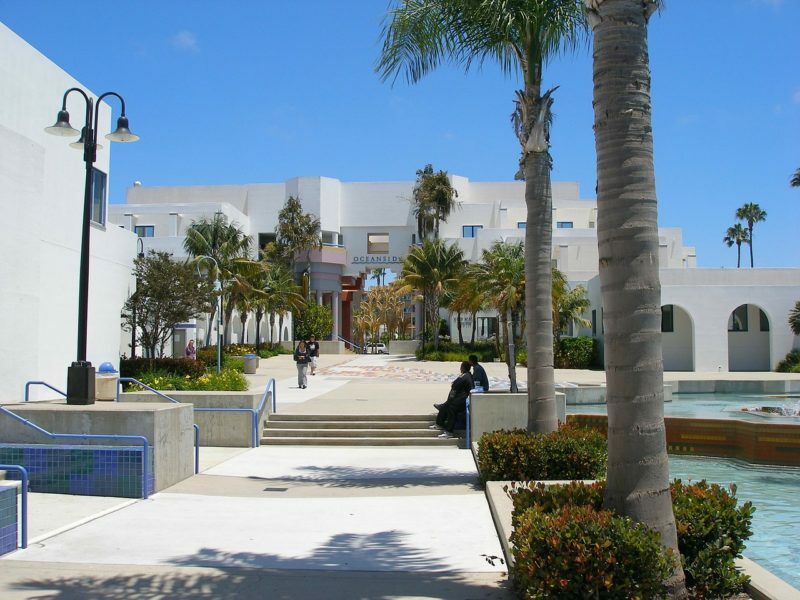 Other popular features include the 7th floor lounge, game room, and an outdoor pool/hot tub with nice ocean views. Oceanside provides an abundance of beach with plenty of room for sand-loving kiddos. The area even has a beachfront playground (my boys hit the swings for hours!). 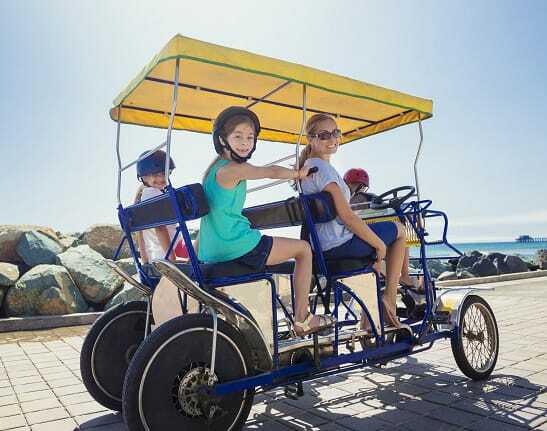 Stroll along the overwater wooden pier or rent a 4-person surrey from Wheel Fun Rentals. There are also fire pits for roasting s’mores on the beach. For older kids, explore the Buena Vista Lagoon, a 223-acre wetland and California’s first Ecological Reserve. Book the guided nature hikes and birding walks throughout the year. You can also visit the California Surf Museum, a local attraction chronicling the history of surf-related sports. One of the most popular displays is pro-surfer Bethany Hamilton’s actual shark-bitten surfboard from the attack that took her arm when she was 13! And FYI, LEGOLAND California is a mere 15-minute drive from the heart of Oceanside.